This car has just 59,000 miles on it. As far as I can tell it has every bell, whistle and option Peugeot offered in 1986. This was originally a California car. As you would expect, the body has no rust. As you might not expect from a California car, the paint and interior look to be perfect too. (The warm dry air that keeps southwestern cars rust free often wreaks havoc on the paint and interiors.) The car is said to run well. Its only flaw is a minor oil leak. 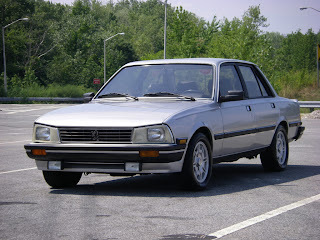 Nice Peugeot 505s are becoming hard to find in the US. This looks to be one of the nicest ones around. Located in Staten Island, NY, click here to see the dealer ad, which has a lot of good, clear pictures. As I mentioned in an earlier post, I've been shopping around for an older Volvo turbo station wagon. I am truly amazed at how many people exaggerate or outright lie in their ads. I mean, when they write "no rust", do they really think I'm going to miss the hole that I can stick my fist through? Do they really believe that a 4 cylinder car running on 3 cylinders is a car that "runs perfect"? This guy is right up front about this car. He writes; "CONDITION... I am STRONGLY warning you here NOT to be deceived by these photos of this car, in which it looks quite nice. This car has some VERY significant rust in the inner rockers (sills), the floorpan, the inner fenders, door skins and even some weird rust through holes around some of the windows. All common rust areas on these coupes. The shock towers, trunk floor, and most of the suspension attachment points look good. I know how to weld, and I've saved cars that were worse than this one rustwise, so I know that this car can be saved. But, you need to be aware, that this car will require some really major rust repair that will involve welding to get this car back on the road. The paint also looks better in photos than in person and has some issues too. It looks like it was sloppily applied in areas, with some dust in the paint and areas on the hood where it looks like the paint either "separated" after it was applied or was applied over a poorly prepped surface. So, in all, there is lots of body and paint work to be done here to make this car really nice again." The 124 sport coupe is a great looking car that is a ton of fun to drive. I hope someone with the time and talent it will take to repair this car brings it back to its former glory. 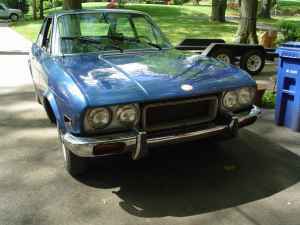 Located in Jenkintown, PA, click here to see the Craigslist ad. 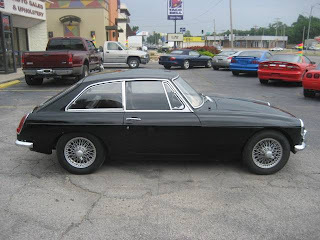 1996 MGB GT - This car looks great in black. This appears to be a very nice, honest MGB GT. It's being offered at a reasonable price of $3995.00. Located in Hutchinson, KS, click here to see the Craigslist / dealer ad. Good luck finding these on this side of the pond.